Looks: Like Shake, but its not, its because of sucky grinder, and friend did a crappy job on the trimmings. Green and Frosty though. Smell: Sweet Cheese with a hint of piney grape. Taste: Hashy and sweet, thick, smooth smoke, that almost tastes like grape as well. Effects: Had to take 3 hits to get it going, but after a minute the effects start slowly, and it feels like your more focused and can do many things. Your brain and head feel like it getting massaged with little tingly pricks. I felt giggly and very happy, like Euphoria. This lasts for an hour and thirty minutes, later the Indica laziness starts taking effect and it lasts only half an hour. 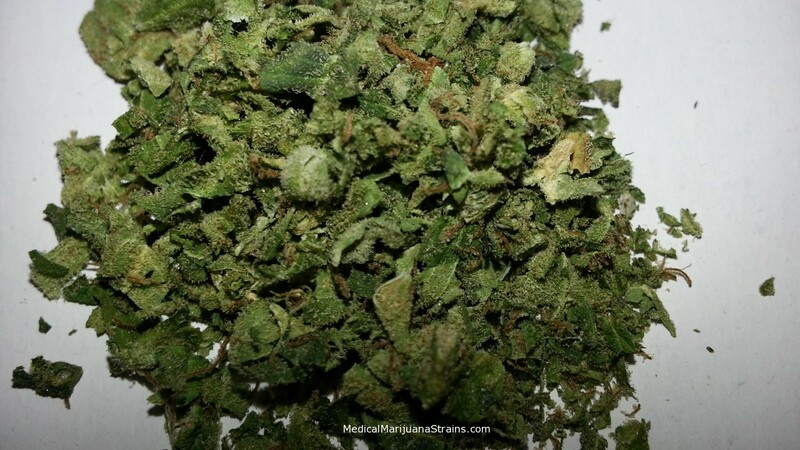 Good Strain For: Anxiety, Pain,Eating Disorders, ADHD, Stress.